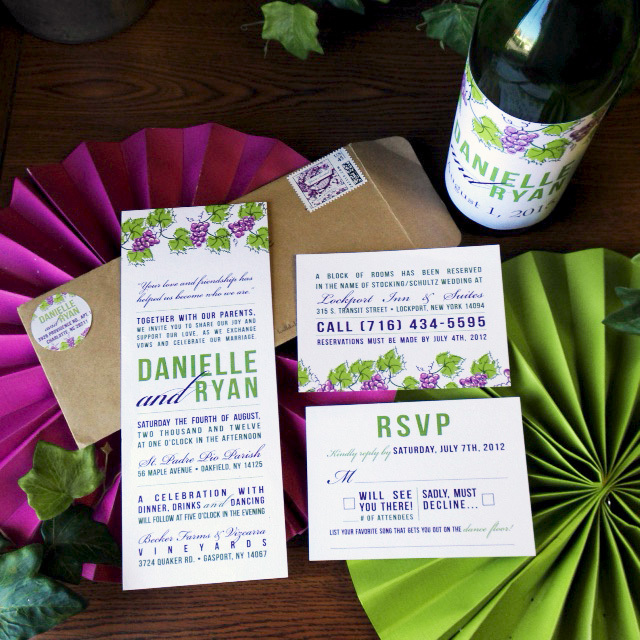 Weddings and wine – they go together hand in hand! 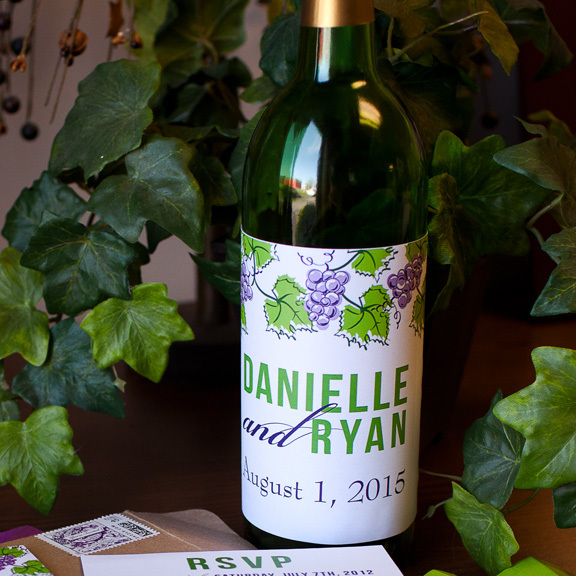 Danielle and Ryan chose a beautiful vineyard theme for their big day. with a modern look and feel. 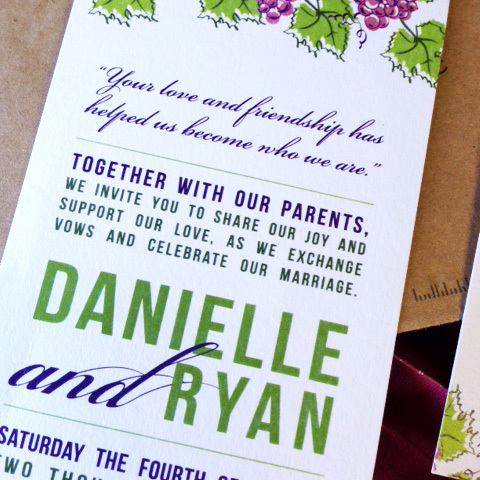 The invitations feature a special note from the bride and groom to their guests. 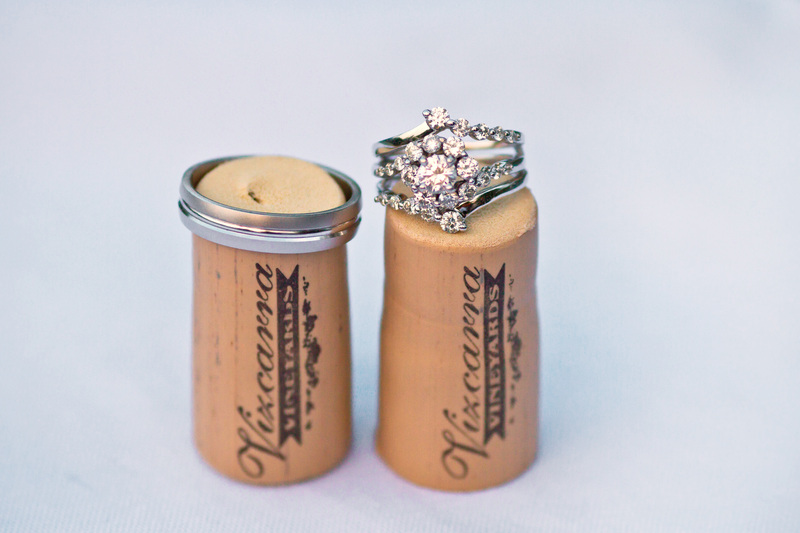 Wine bottles with personalized labels added charm to the celebration. 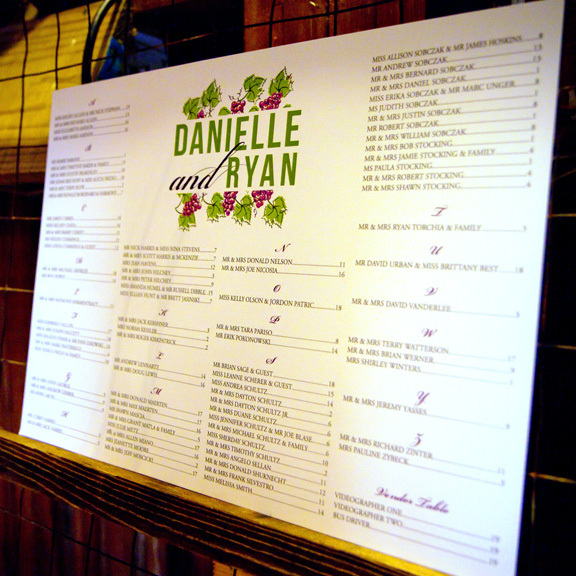 An elegant, matching table seating chart. 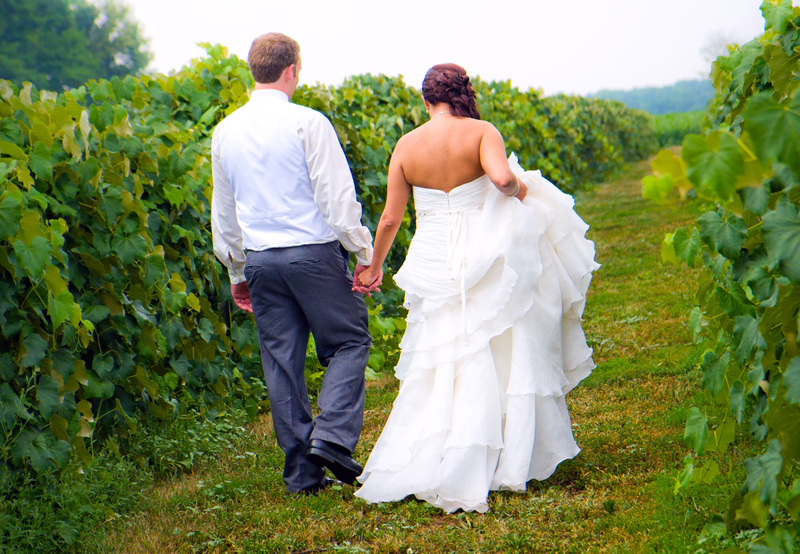 The bride and her party in the beautiful Vizcarra Vineyards at Becker Farms. Best wishes Ryan and Danielle.